Experience counts for a lot when you’re looking for a reliable commercial landscaping company, and that’s what makes Mirage Landscaping your choice for the best business landscaping services in southeast Calgary. The pros at Mirage have been doing great work at surprisingly affordable prices for three generations. Landscape Maintenance: This includes regular mowing of your commercial property, as well as trimming, treatment of weeds, maintenance of garden areas, and litter and garbage removal. We will also fertilize at least twice during in the summer and edge your gardens and tree wells. Spring Clean-Up: To get your commercial property started off right we will aerate, power rake, and fertilize, plus prep your gardens and flower beds. Irrigation Maintenance: We hjghly recommend underground irrigation for all commercial properties. If you don’t already have it, we can install it! Irrigation must be thoroughly shut down in the fall and carefully started up in the spring, which we will do to ensure the longevity of your system. construction, as well as sod and tree installation. Commercial Snow Removal: We are among the most reliable snow removal specialists in southeast Calgary, and have the equipment and manpower needed to keep your business open no matter what the weather throws at you, while also reducing your liability. 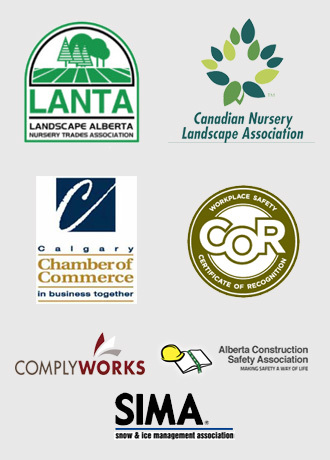 Part of the reason why Mirage provides the best business landscaping services in Calgary is because we make you and your business look good. A well-maintained exterior is one of the keys to attracting passers-by. Well-maintained landscapes are just more inviting, inspiring consumer confidence, which translates into repeat customers. While your customers will appreciate visiting a nicely-kept commercial property, so will your employees. If you take pride in the appearance of your business, your employees are also more likely to take pride in where they work. Providing nice touches like landscaped outdoor eating areas also helps boost job satisfaction. A professionally landscaped property can also help deter thieves, since they suggest someone cares enough to be watching. You can also use strategically placed landscape elements such as lighting in dark corners and hard-to-get by trees and shrubs to ward off criminals. Finally, properly maintained landscapes are far less likely to result in slip-and-fall accidents, which can be a major liability for businesses. When we come to take care of your property we will also make note of any tripping hazards that could possibly cause someone to hurt himself or herself. We’ve priced all our services to make them as accessible and affordable as possible for southeast Calgary business owners on tight budgets. Our ongoing seasonal services, including routine property maintenance and snow removal, are especially attractive from a pricing perspective, as they are critical to keeping your business looking and operating at its best all year round. Be sure to visit our portfolio of successful past projects, and learn more about our lawn care, landscape design and snow removal services. 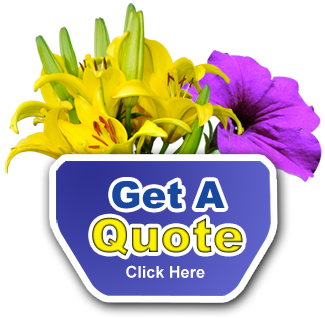 When you’re ready to take advantage of the best business landscaping services in Calgary today, simply drop us a line with your request and we’ll get back to you right away with a fast, free quote.